2) The auto pilot had to also manually overridden to allow the plane to change altitude and start descending towards the mountain range. These two events suggest the pilot was conscious and made decisions and carried out actions that were designed to crash the plane. However the question of motive is still unanswered. Investigators said there was no indication the crash was an act of terrorism. I am more than cautious in accepting mainstream media reports relating to these kind of events for they’re seldom reliable. If we accept some of these reports as truthful, then Andreas Lubitz was suffering from depression and this is what caused him to crash the plane and kill all 150 on board. However, Lubitz had 630 hours of flying experience and according to the Lufthansa Chief his performance was without criticism. A Dusseldorf university clinic that Lubitz had attended earlier this year said media reports he had been treated there for depression were wrong. Lubitz was described by acquaintances in his hometown of Montabaur as a “normal guy” and “nice young man”. “He was a completely normal guy,” Klaus Radke said, the head of the local flight club where Lubitz received his first flying licence years ago. Carsten Spohr, the head of Lufthansa, parent company of Germanwings, told a news conference there was not “the slightest indication what might have led” to his actions. “In our worst nightmares we could not have imagined that this kind of tragedy could happen to us here at the company,” he said. According to Mr Spohr, Andreas Lubitz began training as a pilot in 2008 in Bremen, where he was admitted after undergoing thorough psychological testing. He took a break from his training “for a few months” before graduating in 2012 and working for Lufthansa as a flight attendant as part of his preparation, the Lufthansa boss added. Cockpit employees are selected “very, very carefully” with much attention paid to their “psychological suitability”, Mr Spohr, himself a former pilot, assured. I guess I’m forced to give some credibility to the current explanation of the event but I am still unconvinced. There seems to be too many questions unanswered. What do you expect TB? The airline has now admitted they knew he had issues hought he was OK so maybe it is just as the media claim – a suicide with baggage. I can’t see Lufthansa taking a fall for Islam. 1. My first thought was a decompression with the pilots starting a descent and never regaining consciousness. This explains why no-one rang a loved one to say their last goodbyes. 2. Seriously, why didn’t anyone call. At Marseille (start of descent) too high to get cell phone coverage. But not with 2-3 mins left. And descending at just over 2x normal – how could you miss that (ears, cabin angle etc). 144 pass = 24×6 so at least 48 window seats (24 towards the alps). And no-one spotted the descent. Really???? With the pilot yelling and knocking (and maybe using an axe)???? 3. Information originally leaked (let’s discount the fabricated “senior french military” leaker) so no follow up questions. Info (incl confidential medical) released suspiciously fast – then “confirmed” with later data. Rather unusual way to run an investigation. Contrast that to the Air Asia crash (MH17 being rather an exceptional case of no information of course). 4. First black box badly damaged, second lost the contents. Yet perfect data extracted in hours and promptly released to the public. Data from the second black box showed he accelerated half a dozen times – yet initial satellite data showed a smooth rate of descent and speed. Hmmm…..
5. And he looked up suicide AND THE COCKPIT DOOR on the internet. So, he ignored his obvious training about the security of the cockpit and used the internet to see how it really worked. And we’re supposed to buy that????? 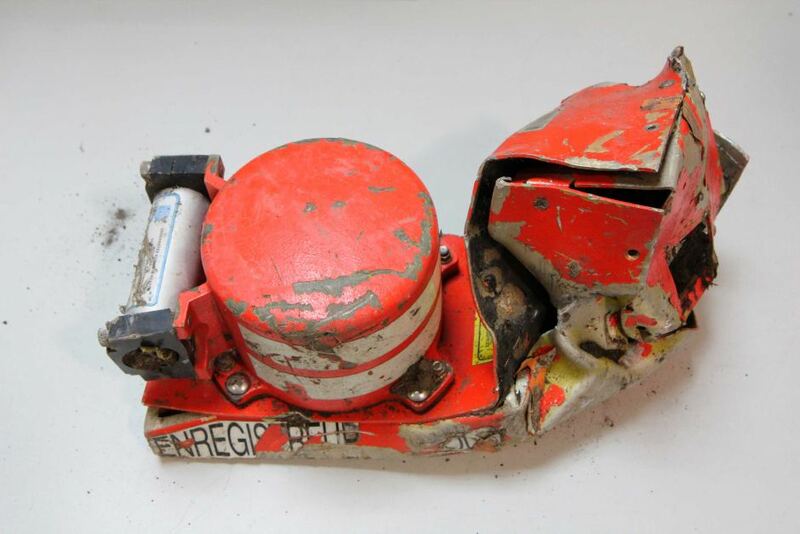 In my opinion (for what little it is worth), I reckon the first black box had little info able to be extracted and the second was totally damaged. They found out about his depression and so put the hypothesis of suicide forward and ran with that. Perhaps to get closure given the number of high profile cases in the last year (2x Malaysia, Air Asia). Of course an Airbus fault (such as the pitot tubes or a structural flaw) could be financially crippling if not fatal so is another possible reason. I think this is still a very open case.